No episode of The Assassination Of Gianni Versace: American Crime Story has started where the last one leaves off. Narratively or geographically: Every week, the show takes a step back in time to further peel away the layers of the personal and cultural pressures that forged serial killer Andrew Cunanan (and, to a lesser extent—in that we haven’t seen him since episode two—the victim whose name is in the show’s title). Cunanan shoots Versace on the steps of his Miami villa in the cold open of the premiere episode; when the second episode, “Manhunt,” picks up, the murderer hasn’t even arrived in Miami yet. It works to disorienting effect, but the show employs some clever tricks as well as some tried and true devices to prevent viewers from getting totally lost. “A Random Killing” opens in Toronto, introducing fragrance magnate Marilyn Miglin in the midst of a home-shopping segment. When the modern aspect ratio has been restored and Marilyn’s trying to contact her husband, Lee, on an airport payphone, onscreen text informs us she’s in Chicago. Last night’s episode, “House By The Lake,” begins with a corny sales pitch for one of the Twin Cities. But I’m not buying it. The chyron after the star wipe might read “Minneapolis, Minnesota,” but that’s definitely the neighborhood occupied by a Los Angeles educator and her knucklehead roommates. I’ve stood across the street from that building, yakking at a camera. I’d recognize that sculpture hanging above the doorway anywhere. That’s the New Girl loft. Two shows, different as night and Jess Day, choosing the same, relatively nondescript converted industrial space as a shooting location. Sitcom establishing shot as murder scene. New Girl films on the 20th Century Fox lot, but footage of 837 Traction Avenue has set the scene for nearly every (if not every) episode of the show that’s aired since 2011. It’s central to the premise of the entire show, in which Jess moves into the building with three strangers after she finds her boyfriend sleeping with another woman in the pilot. 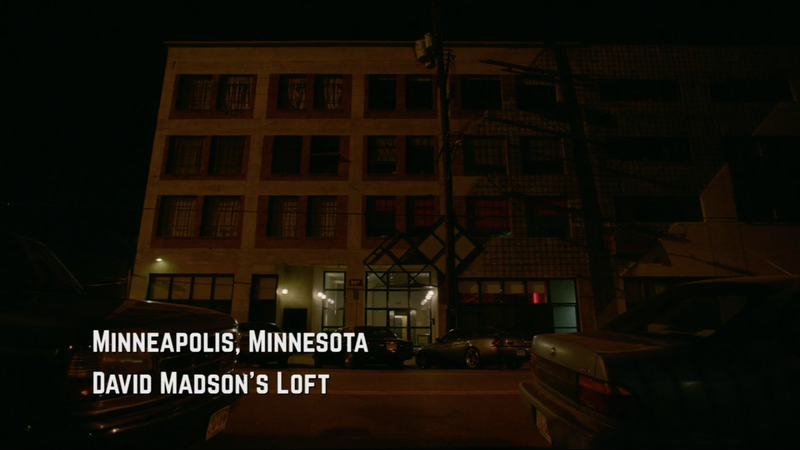 But take a different approach to framing the building, and, voilà: It becomes David Madson’s loft in Minneapolis, Minnesota, where the body of Jeffrey Trail was discovered in late April of 1997. Since first watching the Assassination Of Gianni Versace screeners in early January, I’ve been chuckling to myself at the coincidence. (There’s the added wrinkle of Max Greenfield being a cast member on both Versace and New Girl.) But my heart also breaks a little at the implication: Even after surviving to seven seasons and picking up a handful of award nominations, New Girl’s impact on the TV landscape is minimal enough that it can’t stake a firm claim to one of its most recognizable and identifiable images. 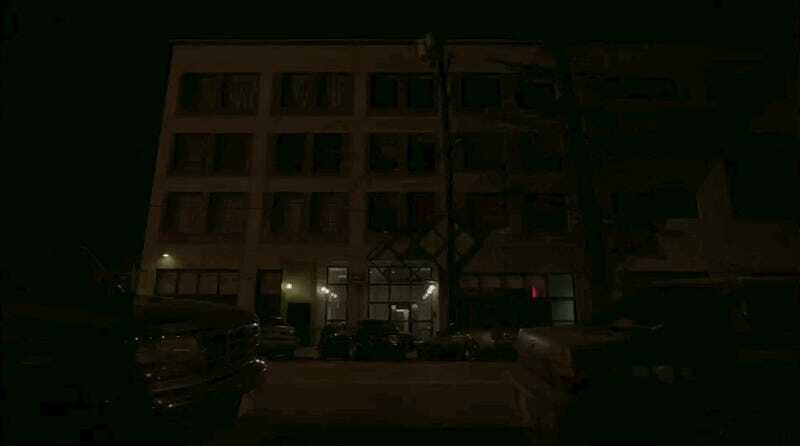 Establishing shots are calling cards, pins dropped in a map that say, “The Friends live on this corner,” or, “This is the Conner family home.” If your show reaches a certain level of prominence or prestige, it’ll be associated with these real-life structures for as long as they’re left standing. You’re not going to see an HBO crime drama set up shop in New York and use Tom’s Restaurant as a recurring setting—at least not without some sort of wink toward Seinfeld. You can see such a negotiation in action in “House By The Lake.” The twilight, the low camera angle, the ominously steady zoom: It’s the New Girl loft, but there’s no merriment, no will-they/won’t-they shenanigans, and no games of True American going on behind those walls. That’s a future crime scene right there. Then again, if you’re Myles McNutt, you’re pretty sure somebody’s getting killed in that loft, no matter what show it’s on.